Renault’s best selling model in India, the Kwid is all set to receive a superpower update in India. Renault has announced that the Kwid will get a Superhero edition in India that will be based on the characters of Marvel movies. 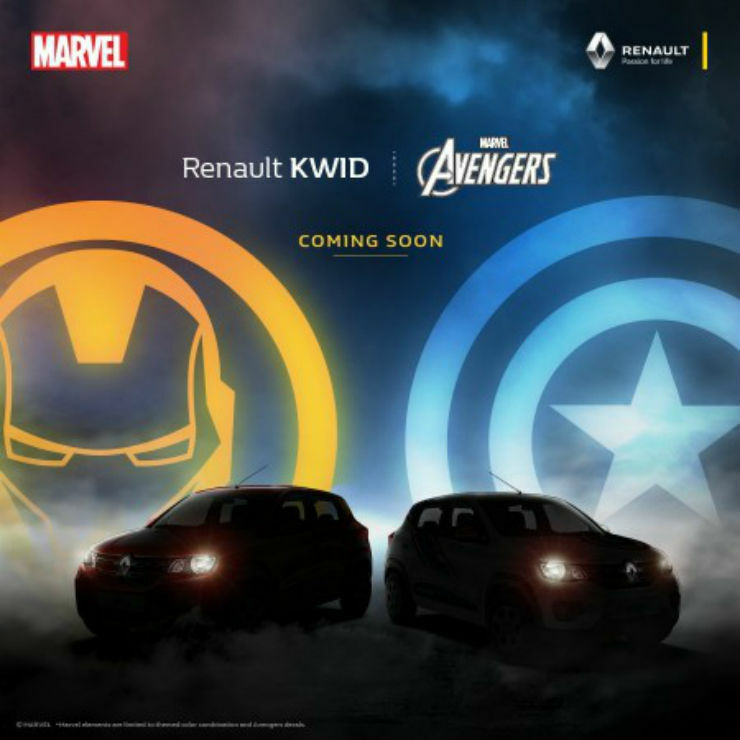 Renault India later tweeted that Captain America and Iron Man themed Kwid cars will launch in the first week of February. Interestingly, Renault launched the Incredible Hulk edition of the Kwid crossover in Brazil last year. There were no decals on the car but Hulk character was seen promoting the vehicle on YouTube videos. The official Renault India Twitter page shows a teaser image of the upcoming special edition car that will be launched in February. The teaser image shows the silhouette of cars in front and monikers of Captain America and Iron Man in the background. Going with the teaser image, it is possible that the cars can get decals of the superheroes and can also get interior theme inspired by the comic characters. Apart from these two superheroes, Renault may also launch more variants themed on the other superheroes later. Renault has launched special edition cars in the past without any changes to the mechanicals. This one is expected to be the same. The Kwid is the best selling vehicle in India from Renault. It is powered by two engine options – 0.8-litre and 1.0-litre. The 0.8-litre engine is a three-cylinder unit that produces a maximum of 53 Bhp and 72 Nm. There is a more powerful 1.0-litre version that produces a maximum of 67 Bhp and 91 Nm. There is 5-speed manual or AMT automatic transmission on the offer. The AMT is only available with the 1.0-litre version. This will be one of this kind special edition vehicles in India. No car manufacturer till now has launched a comic theme based vehicle in the Indian market.